Taking inspiration from biological systems to enhance navigational autonomy of robots flying in confined or cluttered environments. The goal of this project is to develop control strategies and neuromorphic chips for autonomous microflyers capable of navigating in confined or cluttered areas such as houses or small built environments using vision as main source of information. Flying in such environements implies a number of challenges that are not found in high-altitude, GPS-based, unmanned aerial vehicles (UAVs). These include small size and slow speed for maneuverability, light weight to stay airborne, low-consumption electronics, and smart sensing and control. We believe that neuromorphic vision chips and bio-inspired control strategies are very promising methods to solve this challenge. Insect-inspired flight control strategies (Antoine Beyeler, EPFL). We plan to take inspiration from flying insects both for the design of the vision chips and for the choice of control architectures. Instead, for the design of the microflyers, we intend to develop innovative solutions and improvements over existing micro-helicopter and micro-airplanes. Our final goal is to better understand the minimal set of mechanisms and strategies required to fly in confined environments by testing theoretical and neuro-physiological models in our microflyers. 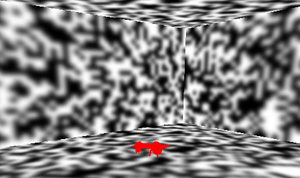 The purpose of this ongoing experiment is to demonstrate autonomous steering of a 10-gram microflyer (the MC2) in a square room with different kind of textures on the walls (the Holodeck). This will first be achieved with conventional linear cameras before migrating towards aVLSI sensors. The MC2 (see picture on the left) is based on a microCeline, a 5-gram living room flyer produced by DIDEL equipped with a 4mm geared motor (a) and two magnet-in-a-coil actuators (b) controlling the rudder and the elevator (b). When fitted with the required electronics for autonomous navigation, the total weight reaches 10 grams. The custom electronics consists of a microcontroller board (c) featuring a PIC18LF4620 running at 32MHz, a Bluetooth radio module (for parameter monitoring), and two camera modules, which comprise a CMOS linear camera (TSL3301) and a MEMS rate gyros (ADXRS150) each. One of those camera modules (d) is oriented forward with its rate gyro measuring yaw rotations, and will mainly by used for obstacle avoidance. The second camera module (c) is oriented downwards, looking longitudinally at the ground, while its rate gyro measures rotation about the pitch axis. Each of the cameras have 102 gray-level pixels spanning a total field of view of 120°. In order to measure its airspeed, the MC2 is also equipped with an anemometer (e) consisting of a free propeller and a hall-effect sensor. This anemometer is placed in a region that is not blown by the main propeller (a). The 65mAh Lithium-polymer battery (f) ensures an autonomy of approximately 10 minutes. "Holodeck" (see pictures here) is the name we gave to our new experimentation room. In order to be able to easily modify the textures of the experimental arena, we equiped a 7x6m room with 8 projectors hanging from the ceiling and connected to a cluster of 8 Linux-based computers. In addition, an omnidirectional camera has been placed in the center of the ceiling in order to track the flying robot. A program is currently under development, which will allow for trajectory reconstruction. Fully autonomous flight with the MC2 in the Holodeck (MP4, 45MB or youtube, 10.05.2007). Autonomous take-off, steering and speed control with the MC1 in our Holodeck (low-res MPG, 14MB, 19.01.2006). See this related publication for more details. Video clips of the remote-controlled microCeline typical indoor environments can be found here. Video clips of previous experiments of optic-flow-based autonomous steering with a 30g airplane in a 16x16m arena can be found here. Most current UAV/MAV autopilots rely on estimation of the three positional coordinates and the three angular coordinates by fusing GPS and Inertial Measurement Unit (IMU) information in order to maintain control the stability and trajectory in obstacle-free space. This prevents the use of UAV/MAVs in cluttered environments such as cities, mountain regions, or indoors, which demand for lightweight vehicles capable of continuously steering among obstacles without GPS signal. In this project, we develop a novel method, called optiPilot (patent pending) for near-obstacle flight control that uses optic flow and does not require estimation of positional and angular coordinates. It consists of directly mapping optic flow estimates taken in various directions around the aircraft translation vector into control signals for roll and pitch regulation by means of two weighted sums, similarly to neural matched filters found in flying insects. This method is capable of stabilising both altitude and attitude and of steering through cluttered environments. It is applicable to any flying vehicle whose translation vector can be assumed to be aligned with its longitudinal axis, such as fixed-wing aircraft or helicopters in translational flight. This method can be implemented with various kinds of optic-flow detectors as front end. 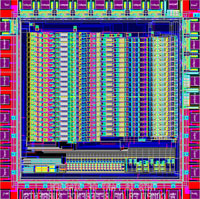 Typical examples include standard CMOS cameras with off-board image processing, aVLSI motion chips (see next section), or optical mouse sensors (see figure on the right, top one). Video of a completely autonomous full 3D flight with a simulated MC2 (MPG, 11MB, 20.09.2006). The extraction of motion from optic flow is very expensive from the computational point of view and turns out to be a great challenge in embedded systems: A changing noisy view of the environment is shown to an array of photoreceptors and is used to detect motion. To get a good estimation of the motion in front of a microflyer, computation on the signals extracted from the array of photoreceptors should be in parallel to make sure that necessary data is not lost. For a microflyer we also have constrains like low power consumption and low weight. 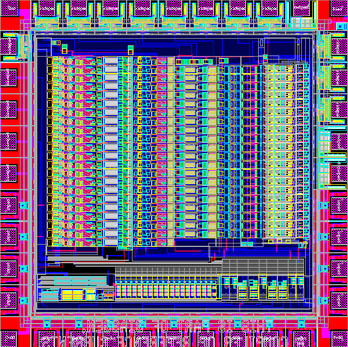 That is why aVLSI (analog very large scale integrated) motion chips ideally fit for microflyers. MFI (fly-sized flapping wings): A 25 mm micromechanical flying insect (Berkeley, USA). The NPS Flapping-Wing MAV: 27 cm span ornithopter, 12.4 g, with unusual configuration of flapping thrusters (NPS, Aeronautics & Astronautics Department, USA). "Mantis", an autonomous Helicopter (CSIRO Complex Systems Integration). Prof. Dario Floreano: head of the lab and main advisor. Dr. Shih-Chii Liu (INI): project leader at INI for the design of aVLSI vision chips. Jean-Daniel Nicoud (DIDEL) for the realization of ultra-light airframes. André Guignard is our micro-mechanical expert. Guillaume Masson: Vision-based altitude and pitch estimation. Adam Klaptocz: Emebedded electronics and control of the MC3. Julien Reuse: Visual tracking of indoor flying robots. Adam Klaptocz: Design and realization of ultra-light linear camera modules with rate gyro for the MC1. Tobias Greuter: Miniature aVLSI camera for indoor microflyers. Gavrilo Bosovic: Miniature ultrasonic sensor. [26 May 2010] Short TV show presenting several of our flying robots including the microflyer and optiPilot prototypes. Also featured in prime time Swiss TV News (TSR). 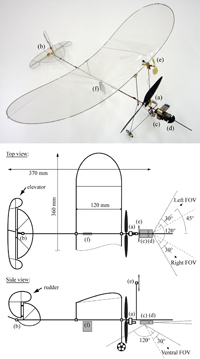 [26 May 2010] RSR radio broadcast with an interview on bio-inspired flying robots (towards the end). [3-8 May 2010] J.-C. Zufferey presents a paper on how to couple the optiPilot control strategy with GPS guidance at ICRA'10 in Anchorage. [1 December 2009] Release of the new book on Flying Insects and Robots. [30 November 2009] The Laboratory of Intelligent Systems is proud to announce the incorporation of its first spinoff company, senseFly LLC, which is selling autonomous flying platforms for intelligent sensing. [19 August 2009] First successful demonstration of optiPilot steered by GPS on a swinget platform designed by senseFly. Two completely autonomous flights of approx. 30 minutes each have been performed between 3 and 15 m above ground following a GPS-defined path including obstacles such as trees. More than 50 km and 100 obstacle avoidance actions have been reached during these two flights. [17 July 2009] Antoine Beyeler sucessfully defended his PhD thesis on Vision-based control of near-obstacle flight. He is now developing intelligent micro-drones as CTO of senseFly. [5 August 2008] First successful 3D collision avoidance with a physical 400-gram MAV outdoor using the OptiPilot principle. [24 April 2008] The new book on Bio-inspired Flying Robots by J.C. Zufferey is now available at CRC Press or amazon. [2 November 2007] We got the IROS'2006 best paper award for the paper entitled "A 10-gram Microflyer for Vision-based Indoor Navigation". [22 October 2007] This project has been presented at Swissnex, San Francisco. This article from swissinfo describe our tour in California. [12-17 August 2007] This project has been featured at the Flying Insects and Robots symposium. Have a look at the related video. [15 Mar 2007] First fully autonomous flight of the 10-gram MC2 in our experiment arena. More on this in an upcoming publications. [May 2006] 10 minutes autonomous steering and speed regulation with the 10-gram MC2 in the Holodeck. [11 April 2006] Discovery channel publishes an online article entitled Tiny Flyer Navigates Like Fly which features our research efforts. [February 2006] First autonomous steering and speed regulation of the MC1 in the Holodeck. See this paper for more details. [May 2005] Creation of an aerial robotics initiative: AERO@EPFL. Previous news can be found on this related project web page. [11 October 2009] J.-C. Zufferey presents new results obtained in this project at the MAV workshop at IROS'09 in St-Louis. [15 September 2009] Antoine Beyeler presents the recent results obtained in autonomous take-off and landing at EMAV'09 in Delft. 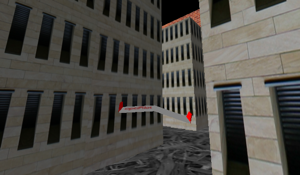 [22 September 2008] This project was presented at the workshop on Visual guidance systems for small autonomous aerial vehicles at IROS'08, in Nice. 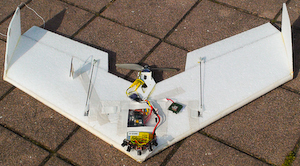 [23-25 June 2008] This project was presented at the UAV'08 conference in Orlando. [12-17 August 2007] This project has been featured at the Flying Insects and Robots symposium. [10-14 April 2007] A. Beyeler presents a paper at ICRA'07, in Rome, Italy. [9-15 October 2006] J.C. Zufferey presents a paper at IROS'2006, in Beijing, China. [9-14 July 2006] J.C. Zufferey presents a poster at the 50th Anniversary Summit of Artificial Intelligence, in Monte Verità, Ascona, Switzerland. [15-19 May 2006] A. Beyeler presents a paper at ICRA'2006, in Orlando, Florida. [23 February 2006] Invited presentation on our autonomous indoor microflyers by J.C. Zufferey for the Akademische Fluggruppe Zürich. [18-22 April 2005] J.C. Zufferey presents a paper at ICRA'2005, in Barcelona, Spain. [1 March 2005] Invited talk by J.C. Zufferey on Evolutionary Robotics at JOIN05 in Braga, Portugal. Previous participation to conferences are listed on this related project web page. [22 October 2007] This project is presented at Swissnex, San Francisco. This article from swissinfo describe our tour in California. [27-28 August 2005] Demonstration of our indoor microflyers at FA2005. [28 May 2005] Demonstration of our indoor flying robots at Musée Jenisch in Vevey, Switzerland. [4 April 2005] Demonstration of our indoor flying robots at CERN within "les lundis découverte". Previous events can be found on this related project web page. [October 2008] Radio broadcast on the fly with an interview of J.-C. Zufferey about this project. 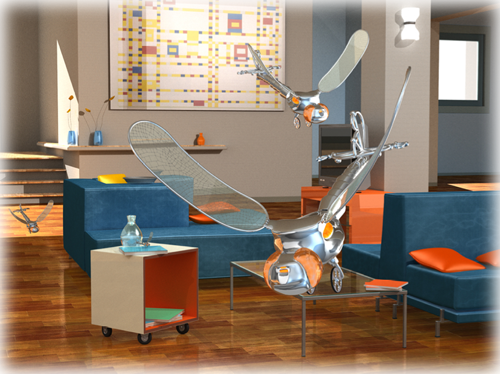 [March 2008] The IEEE Spectrum magazine features our autonomous indoor microflyer. [March 2008] The swiss science magazin Horizon features our autonomous indoor microflyer. [12 February 2008] Euronews features our microflyer project. [21 January 2008] Radio interview of Jean-Christophe Zufferey featuring - among other aspects - some of our flying robots. [17 January 2008] Swiss-French TV report featuring our microflyer project. [22 October 2007] This article from swissinfo describe our tour in California. [11 April 2007] NewScientist publishes an article entitled Float like a robot butterfly which features our research efforts. [18 Mar 2007] Le Temps publishes an article on this project: "Des robots volants qui ont pour modèle la mouche"
[9 November 2005] Territoire 21 -a TSR scientific TV programme- presents our current research within the Solar Impulse project. Previous media coverage can be found on this related project web page.